Aston Martin Tuning and Aston Martin Styling Packages for the Aston Martin Vantage, Viezu Technologies is very excited to be able to announce that there are now tuning and styling packages for the Aston Martin Vantage available to buy online at the Viezu Store. The beautiful hand-built Aston Martin Vantage is the epitome of style, and the Aston Martin Vantage tuning and styling packages will take this beauty to the next level. The level one tuning and styling package is a customised Aston Martin performance ECU remap, which takes into account any modifications already fitted to the car, and upgrades your Aston Martin Vantage’s performance in terms of power and torque. The Aston Martin Vantage performance ECU remap will transform your vehicle’s driveability – it will be a true dream to drive! The Viezu Store’s performance tuning suite, package two, for the Aston Martin Vantage offers the same customised performance ECU upgrade of the level one package but adds a set of Aston Martin high performance air filters. The Aston Martin high performance air filters allow much greater airflow into the engine really bringing the performance ECU remap to life, and is a fantastic addition to your Aston Martin Vantage without serious mechanical modifications. Package three is the ultimate performance and tuning package and your Aston Martin Vantage will never be the same again. This package adds sports exhaust rear boxes to the customised performance ECU remap and the high performance air filters, which provide a more efficient exhaust flow and a noticeable improvement in throttle response, while really enhancing that sports car sound. The three levels of Aston Martin Vantage tuning and styling packages are available for both the V8 and V12 models, and will really enhance your car’s performance and driveability. 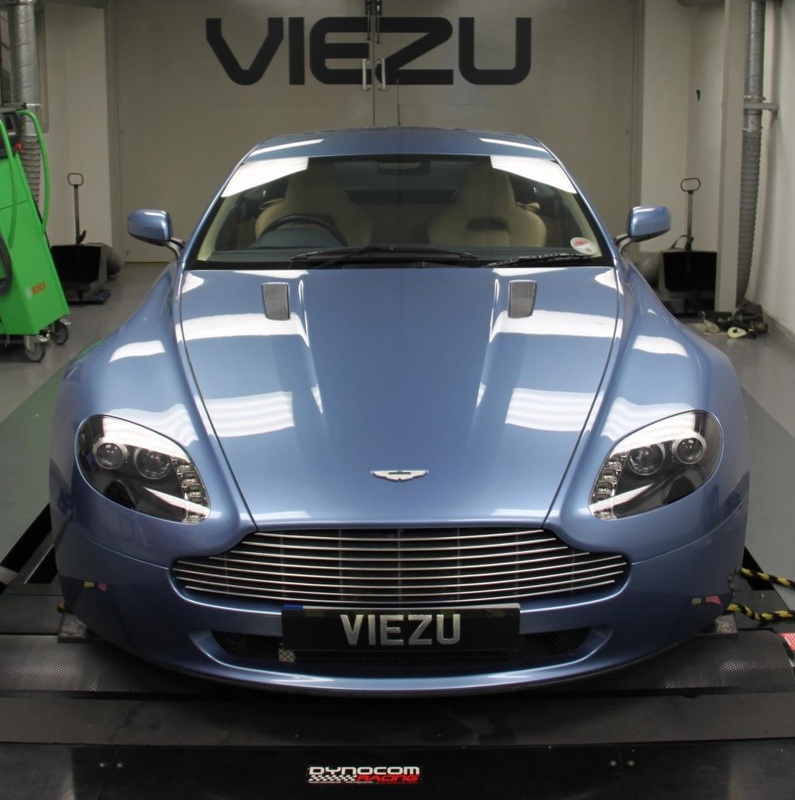 For more information about the Aston Martin Vantage tuning and styling packages available in the Viezu Store, please visit www.viezu-store.co.uk, or call our team for advice on +44 (0)1789 774444.